Whatever field major Indian startups might be engaged in, they seem to inevitably end up becoming data plays. Ola has become the latest Indian startup to apply for an NBFC license. With the Non-Banking Financial Company license, Ola will be able to enter India’s burgeoning financial services sector, and be able to sell financial products such as loans, credit cards, and insurance. This won’t be Ola’s first foray into the financial space. It already operates its own wallet called Ola Money, and lets users pay at the end of the month for its rides through Ola Postpaid. Ola also helps its driver partners negotiate better loan terms from banks, and even insures rides for its customers. But many of these services are currently being run in collaboration with financial institutions — with an NBFC license, Ola will be able to run financial services independently on its own. Ola already has a wealth of data collected from its driver partners and its customers. It, for instance, knows exactly how much its drivers make per month, and can use this data to offer them financial products. Through the rides its customers take, and the locations they visit, it can also create estimates of how much money they likely make as well, and can tailor products for them too. It had the added benefit of owning Foodpanda — the kind of food customers order can also help it estimate income levels, and provide financial services. 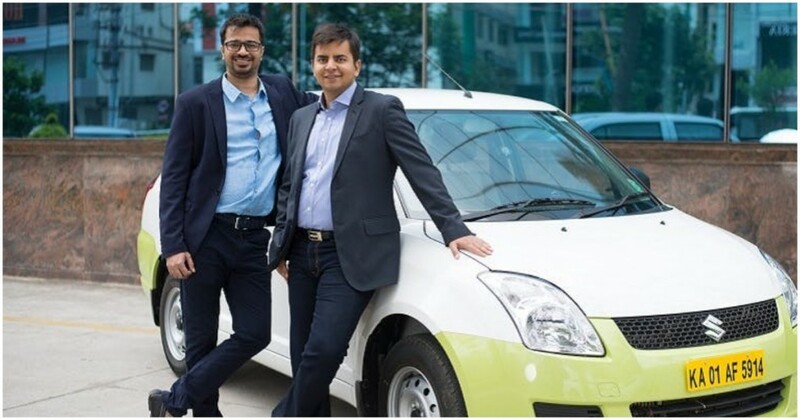 As per an Economic Times report, Ola is looking to launch its own credit card, and also provide insurance to both to its driver partners and riders. Ola won’t be the first Indian startup to aim to utilize its data to provide financial services. Amazon,Flipkart and Xiaomi have all applied for NBFC licenses, though it isn’t yet clear if they’ve utilized them in any form. Paytm, of course, has gone a step further — it has its own payments bank, and is already using its user data to provide a variety of financial services. Then there are dedicated fintech startups, which don’t readily have loads of customer data, but provide financial services all the same. But they will increasingly see their turf being trod upon by players whose business verticals might not have anything to do with finance, but thanks to their scale and the level of customer data they collect, are looking to enter the financial services game.